The hotel offers 138 beautifully furnished rooms, consisting of 98 Standard Rooms, 35 Fortune Club Rooms and 5 Suites. The rooms have been done up in smart, contemporary décor with an inviting ambience and come equipped with a complete range of modern amenities. 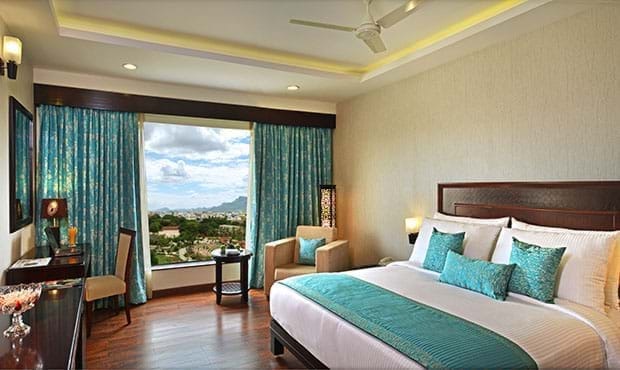 Some of the rooms also offer a spectacular view of the Tirumala Hills and the Shilparamam Park. 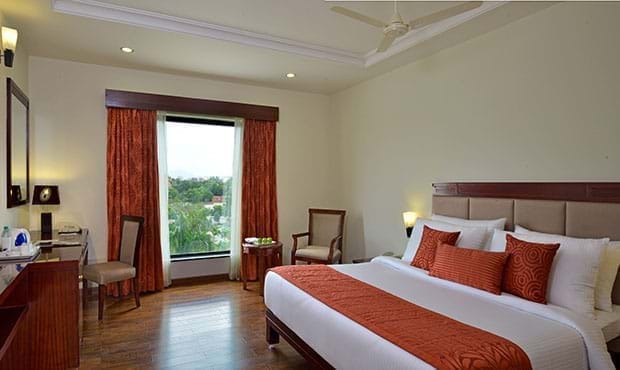 Our Standard Rooms offers an elegant contemporary ambience for a comfortable good night's sleep. The rooms are available with an option of either a king size bed or twin bed. Fortune Club Rooms are designed to offer the guest a little extra of everything. These rooms provide an upscale product/service comparable to the “Best in Class” rooms in the city.